The reason for augmenting food intake with supplements is to supply the body with adequate and optimum doses of select naturally derived compounds that have the potential to enhance performance, correct deficiencies, aid in altering body composition, combat and prevent disease, and improve general overall health. Although the best way to obtain proper nutrients is through natural foods, studies have shown that this is extremely difficult with the average person's diet. Data compiled by the U.S. Department of Agriculture indicate that at least 40 percent of people in this country routinely consume a diet containing only 60 percent of the RDA of each of the ten selected nutrients. This means that close to half of the population suffer from a deficiency of at least one important nutrient. Though the need for and benefits of supplements continue to become more apparent, most people don't realize that all supplements are not created equal. 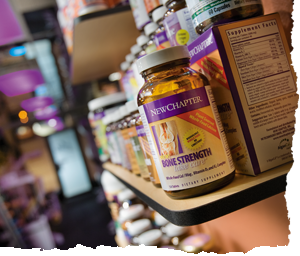 Whole food nutritional supplements offer better health benefits than isolated vitamins and minerals. Over the years scientific research has shown that the human body is not designed to consume isolated nutrients and use them effectively. It will only absorb a small percentage of an isolate form of vitamins and minerals and utilize even less. Moreover, there may be side effects, depending on the quality of the isolate. It must take in a full spectrum of supporting complementary nutrients, as they exist in nature.